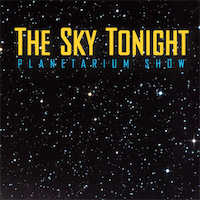 The Sky Science Extravaganza is comprised of both live and pre-recorded segments. This modular design allows it to have various durations, so that it may accommodate your schedule and your budget. The length of the presentation ranges from 50 to 90 minutes. Please note that the 90-minute presentation can be broken down into 2 x 45-minute presentations, with a break in between the sessions. 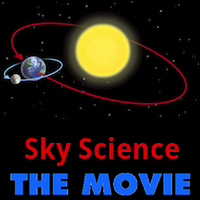 Sky Science: The Movie is a pre-recorded segment that covers pretty much the entire Sky Science Unit, albeit rather quickly. Some teachers like to use it as a review, just prior to the Unit Test, while others like to have their students see it near the beginning of the unit, as a sort of kick-off activity. 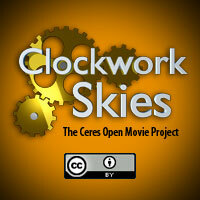 Clockwork Skies is a pre-recorded segment. This short full-dome movie will allow your students to see the Sun, Moon, and stars rising in the east and setting in the west. Both rotation and revolution are introduced and your students will also learn about the Phases of the Moon. They will also learn that different planets have different periods of revolution around the Sun. The Sky Tonight is a live segment and as the name suggests, it's all about what the sky will look like tonight. 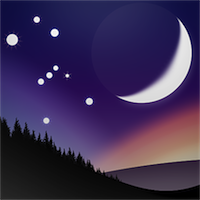 Your students will learn about interesting things to look for in the night sky. They will also learn exactly when and where they should be looking in order to be successful with their observations. With a bit of luck, your students will come back to school the next day and tell you that they spotted a particular planet, constellation, or bright star. Sky Science Live is, as the name suggests, a live segment and it's somewhat interactive. Using a special version of Stellarium, an immersive environment is created within the planetarium and your students will be able to explore any Sky Science concept in more depth. They will get to see a sky full of stars and then watch those stars transform into mythological constellation figures. They will hear a mythological star story or two, from long ago, and also witness the motion of celestial objects across the sky, from east to west. In addition, they will see the circumpolar motion of the northern stars, such as the Big Dipper (Ursa Major) and Little Dipper (Ursa Minor). Sometimes very special celestial events, such as lunar and solar eclipses are simulated, and occasionally the Northern Lights (Aurora Borealis) appear overhead. If time permits, a short journey through the Solar System will also occur, which is pretty awesome! 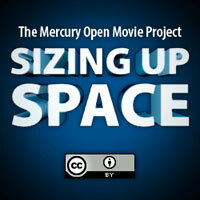 Sizing Up Space is a pre-recorded segment. This short full-dome movie introduces the concept of a light-year. This is then used to explore the vast distances within the universe. Your students will tour the Solar System and then head out to explore Proxima Centauri, the Orion Nebula, and the Ring Nebula. Eventually they will leave the Milky Way and head off towards the Andromeda Galaxy and beyond. Please note that this segment of the Sky Science Extravaganza is not included in the 45-minute presentation. This authentic 5.5 kg (12-pound) Iron Meteorite is an impressive specimen. In fact, it's a museum-quality specimen and at a museum, it would normally be on display under glass and definitely hands-off, but that's no fun! So, that's why this Iron Meteorite is a hands-on meteorite and your students will have an opportunity to hold it, but they have to use two hands! 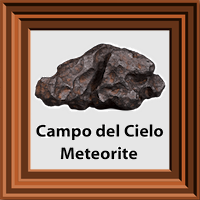 This meteorite landed in Argentina 4500 years ago and is known as a Campo del Cielo Meteorite. This meteorite is part of the 90-minute Sky Science Extravaganza program and it's optional with the 75-minute program. 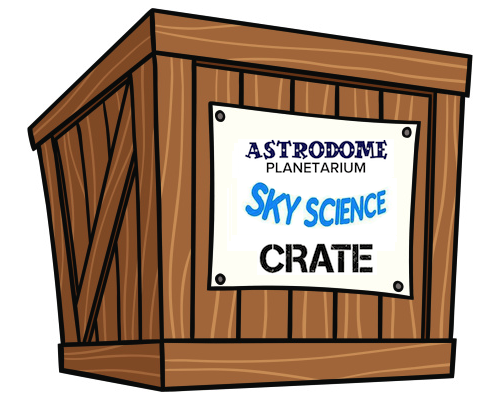 If you book the 50-minute or the 60-minute program, you can add-on The Sky Science Crate (coming soon) and request to have the iron meteorite included inside the crate. In the past, the Sky Science Extravaganza program included some hands-on time with an amazing, museum-quality, iron meteorite. This was certainly a great experience, but it cut into the planetarium time and so now the meteorite has been moved to Sky Science Crate. Your students will be able to check out the meteorite, and other great things, in your classroom and under your supervision. This will take place on the same day that the AstroDome comes to visit your school. Please ask for more details if you're interested in the Sky Science Crate.